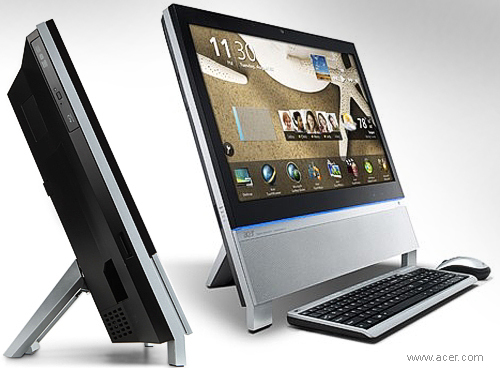 The Acer Z5 opens up a whole new way of interacting with a computer through an intuitive and responsive 23" Full HD multitouch monitor (which is also the computer). It has an Intel Core i5-650, a dual-core processor fast enough to handle most general multitasking chores plus a generously sized disk drive. The Acer TouchPortal fingertip control experience provides a faster and smarter way to access useful information, entertainment, and social networking. Dimensions: 570 x 483 x 85 mm.